I introduced my recent column on 12 Richmond Terrace as the former residence of the owners of ‘one of Brighton’s best homes’. 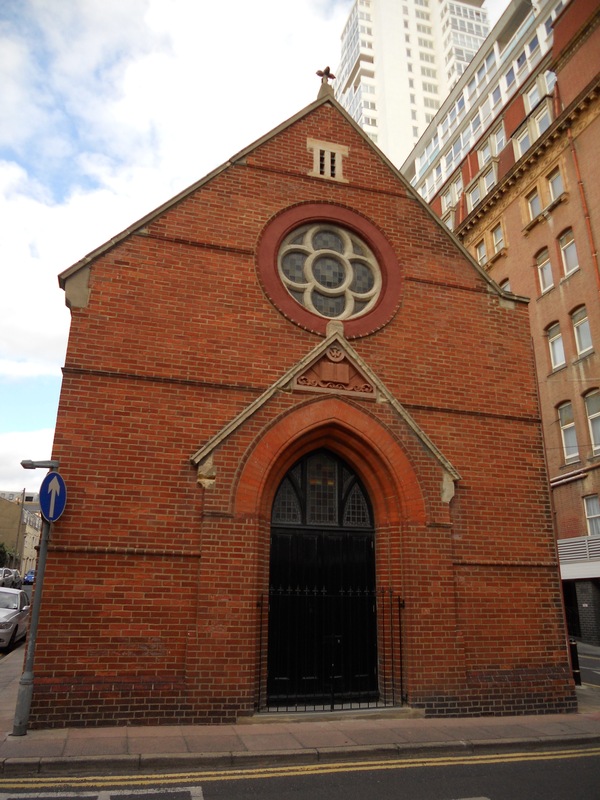 The home in question was the French Reformed Church, just off the seafront on Queensbury Mews between the Metropole Hotel and Regency Square. It was was completed in 1887, three years before the Metropole. Haydn Hughes and his partner bought the building in May 2009 and I’ve been aware of their meticulous renovation work on the building for some time, but I only recently found out about the building’s time capsule. A month or so back, three crumbling Portland stone tablets lined the west side of the building; their inscriptions unclear. 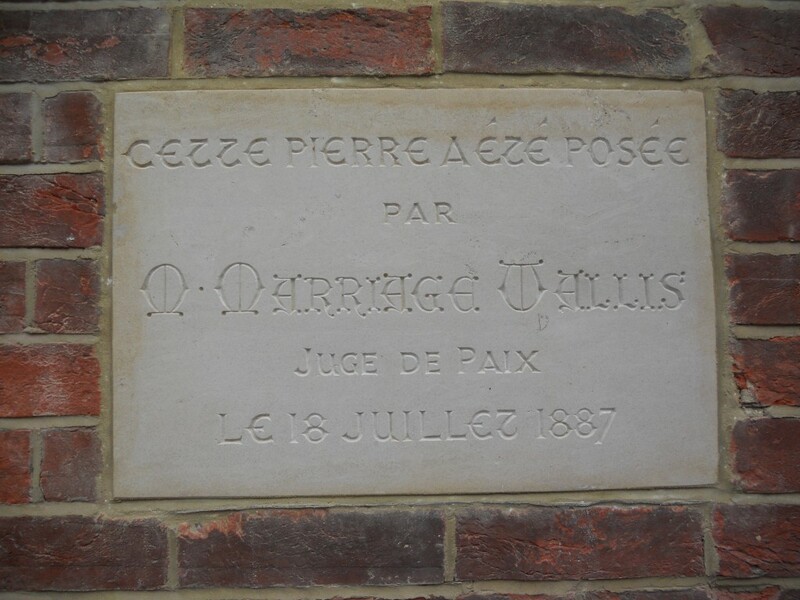 Chris Pellett from Albourne Stone was responsible for their restoration which involved carefully slicing off and replacing the first 3” of stone on the three tablets (each of which turned out to be 12” thick!). The middle tablet encompassed the time capsule which was unearthed during the works. It turned out to be a glass jar containing a number of items including the congregation’s 1886 annual report, some headed notepaper, a publicity leaflet, a silver shilling from 1887 and a copy of the Sussex Daily News. Haydn replaced the capsule in its rightful spot after adding a few new photographs for whoever next uncovers it. The stone tablets now quite clearly mention five individuals who played some part in the construction of the church such as Mrs E. Hayes who raised funds for the building work and J. G. Gibbins who was the architect. The French Reformed Church can trace its origins back to Deryck Carver, a French-speaking Flemish man who sought refuge in Brighton in 1548. He was burnt at the stake in 1555 for his Calvinist beliefs. The church was originally bordered by Mr Clark’s stable and Mr Mocatto’s stable. It is now completely detached with a whole block to itself. It is special for many other reasons though including its unique history, excellent condition and enviable location. English Heritage seems to share that view and is in the process of assessing the building for listing. Grade II status seems to be the most likely outcome. Whilst listed status does bring with it hassle in the form of, well, more forms to fill out, it also is something to be proud of. And proud of their work the owners of this fine structure should be.